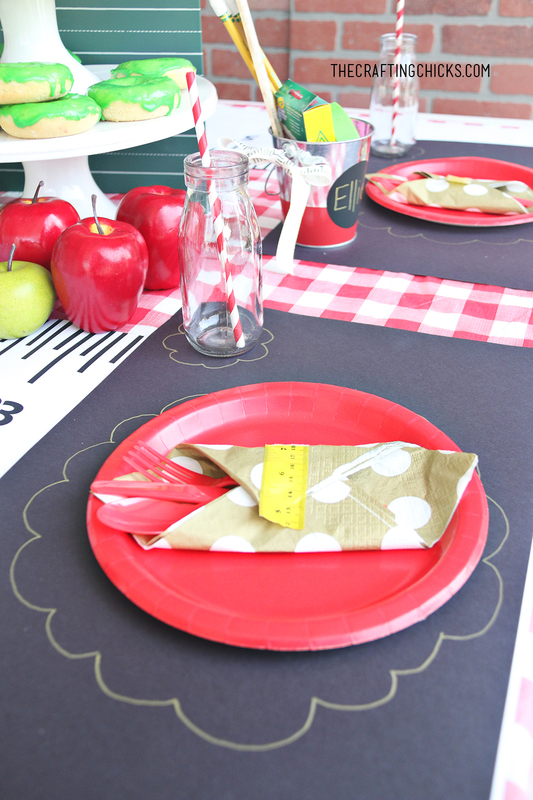 Celebrate the kids going Back to School with these Back to School Party Place Settings. 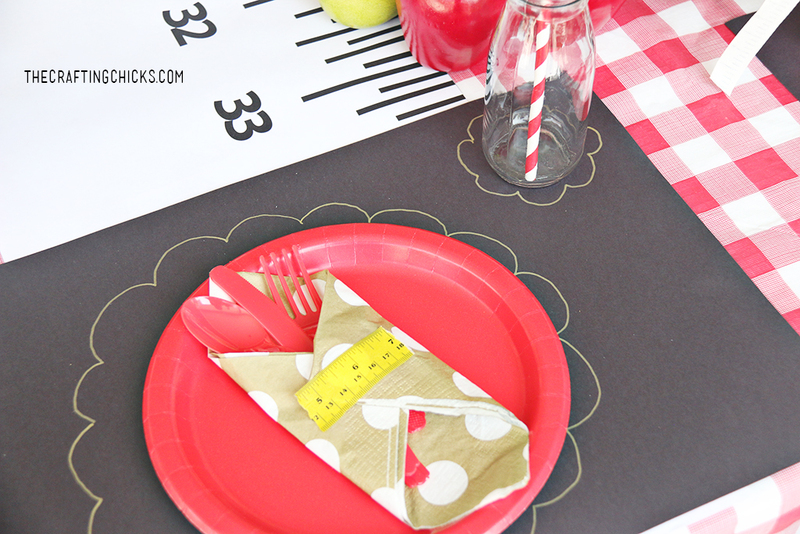 Perfect for those Back to School Parties! We love to celebrate Back to School time with our kids. 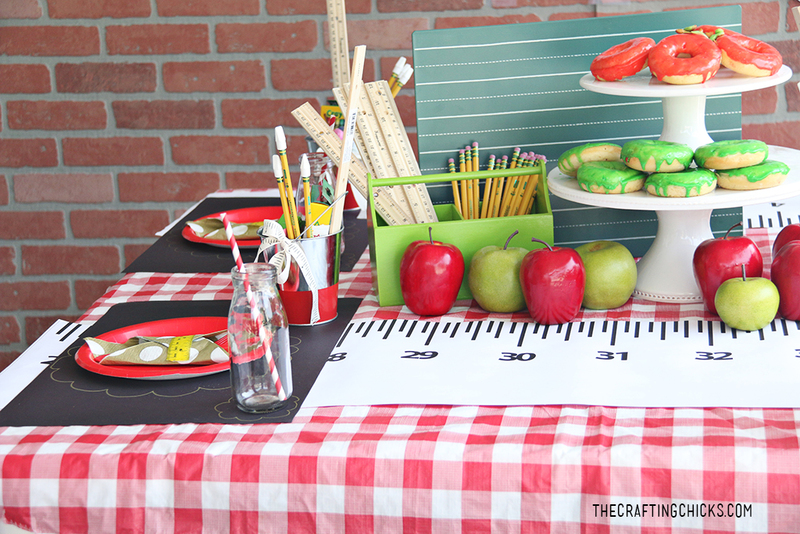 One of our favorite ways is to throw a Back to School Party. 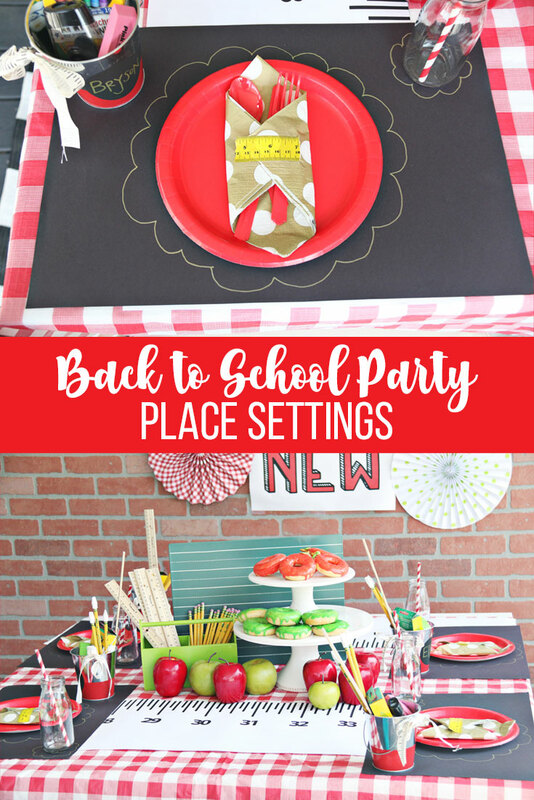 Here are all the details to set up great Back to School Party Place Settings. Of course each party needs a place setting. We had a lot of fun with these. We started with a piece of 12×18″ black construction paper. To add some pizzaz we used a Gold Chalk Ink Metallic Marker. 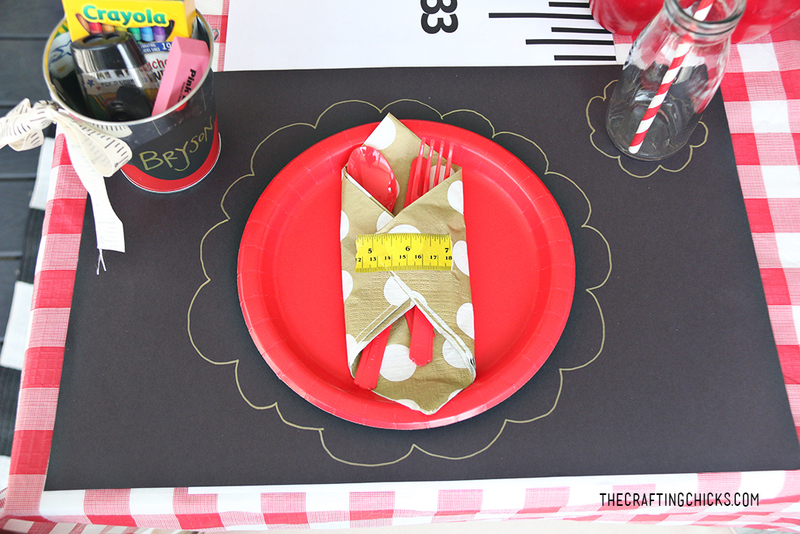 Next put a red paper plate on the black construction paper placemat. 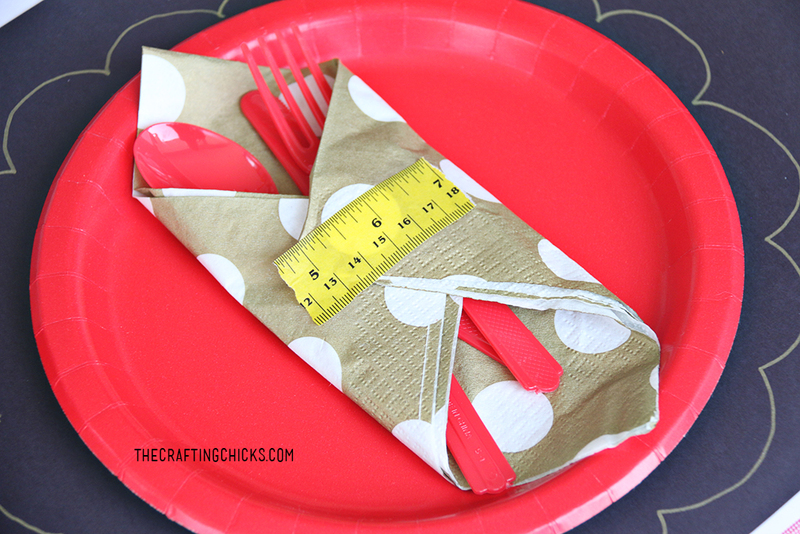 Wrap up some red disposable utensils in a gold polka dot napkin. Secure it with some cute ruler washi tape. 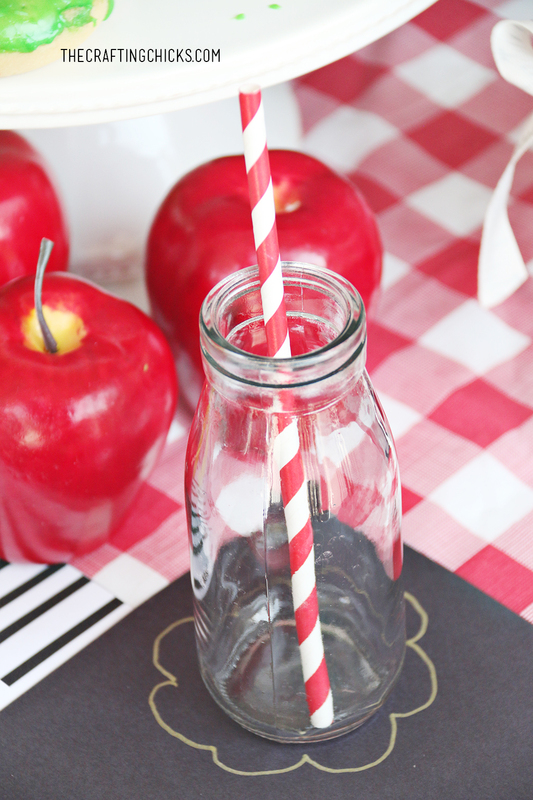 Each place setting also had a cute Glass Milk Bottles with a red striped paper straw. Make sure you check out all the details for the Back to School Party.